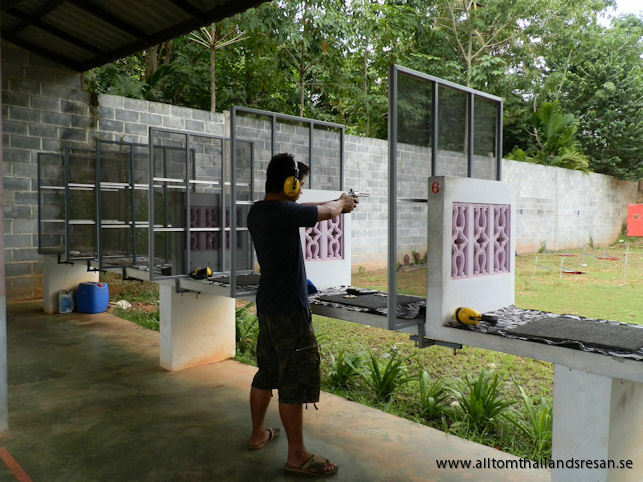 To spend a few hours at the shooting range in Ban Phe can be both exciting and maybe a treat, especially if you have not tried to shoot a gun before. Contact Allt om Thailandsresan and we will help you with directions and to make an appointment to shoot with a gun during your stay in Ban Phe Thailand. The excursion is suitable for both adults and youth.